One of the activities performed within WP1 is the “REE Balance Problem Analysis” (Task 1.2). The “Balance Problem” is here defined as the balance between the demand by the economic markets and the rare-earth elements (REEs) in ores. The report contains an overview for the trends in applications of the different REEs; moreover, the relationship between criticality and the Balance Problem is discussed. The declining use of REEs in nickel metal hydride (NiMH) batteries and in phosphors for fluorescent lamps and cathode ray tubes (CRTs) will have in the near future an influence on the REE markets and thus on the Balance Problem. 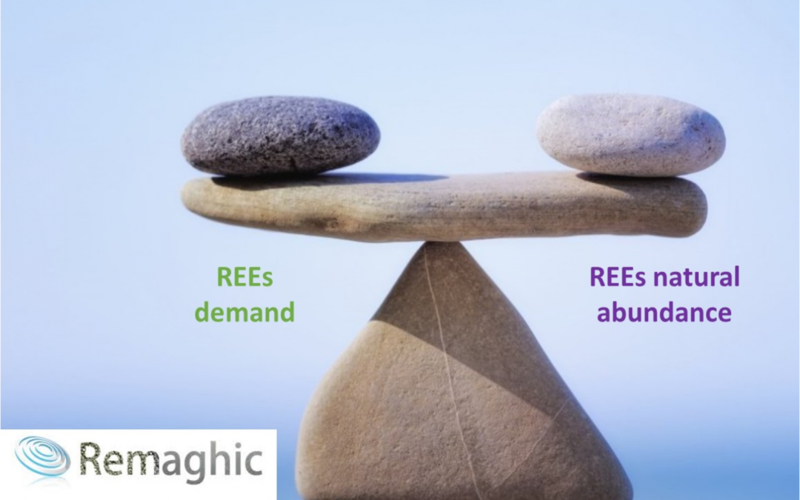 The Balance Problem implicates that the rare-earth industry has to find new applications for REEs that are available in excess, or to search for substitutions for REEs that have limited availability and that are high in demand. REEs recovery from lamp phosphors, CRT phosphors and NiMH batteries will generate a supply of yttrium, lanthanum and cerium. These REEs can find new uses in magnesium alloys for the automotive, aeronautic and biomedical industry. For this reason their recovery from the selected waste streams represents a unique opportunity to partially mitigate the balance problem.